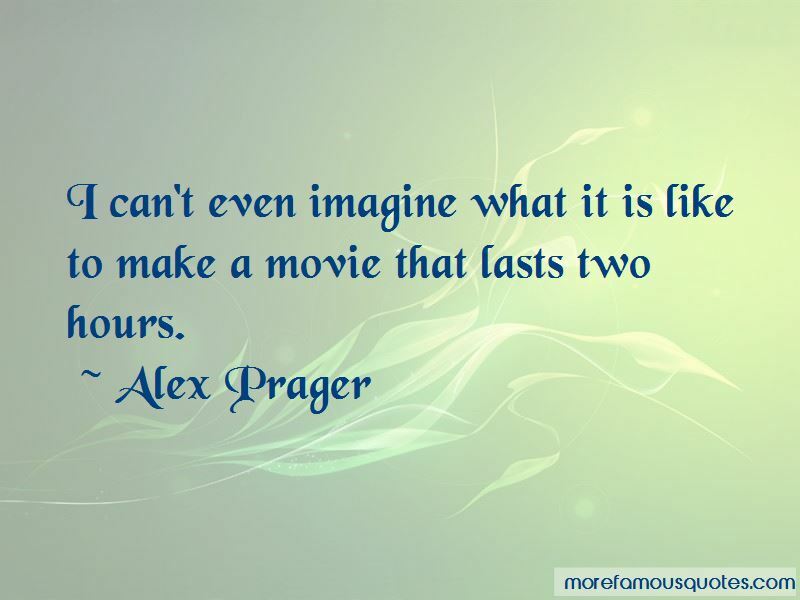 Enjoy the top 14 famous quotes, sayings and quotations by Alex Prager. 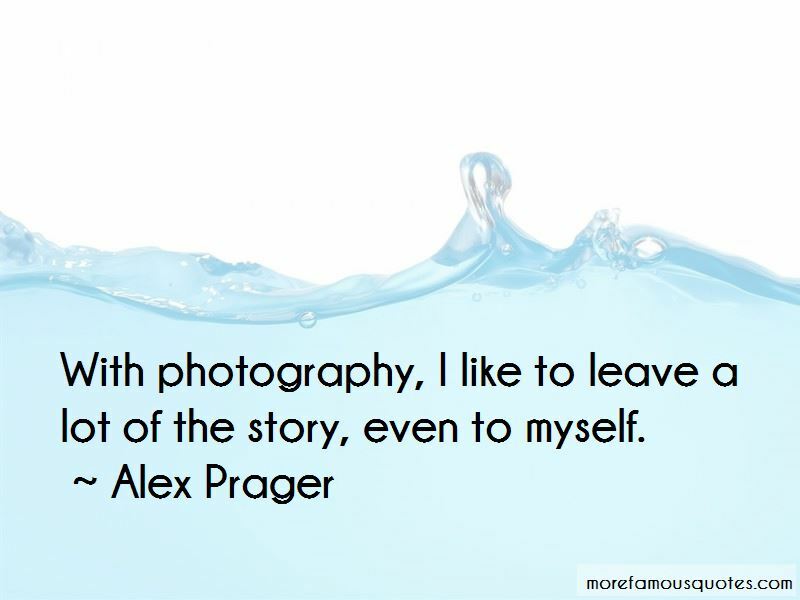 With photography, I like to leave a lot of the story, even to myself. I think that's one of the reasons it's nice to leave out a lot; it can become a lot more personal to people if there is room for them to put their own experiential time track on it. I never thought about the green, but LA has a lot of greenery. I lived in London for small amounts of time, and in Florida and New York. I always work with the same composer, his name is Ali Helnwein. I don't have a musical background. 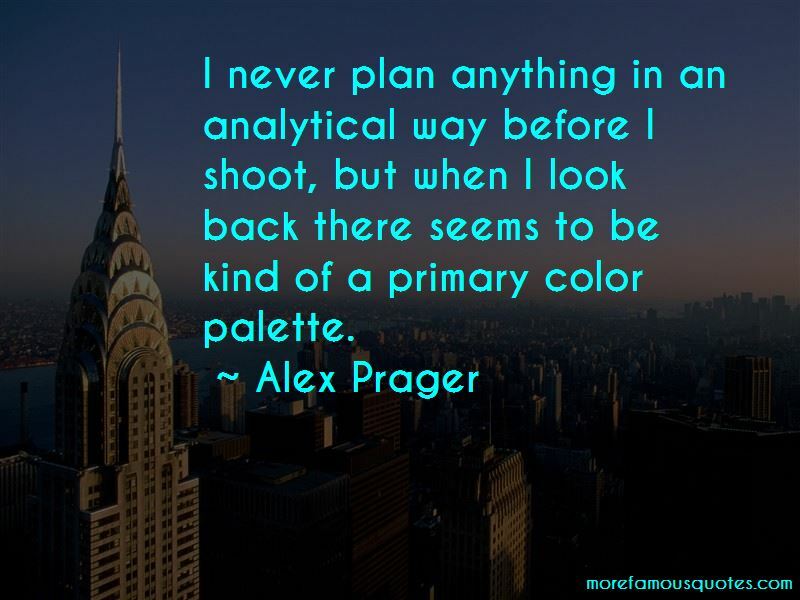 Want to see more pictures of Alex Prager quotes? 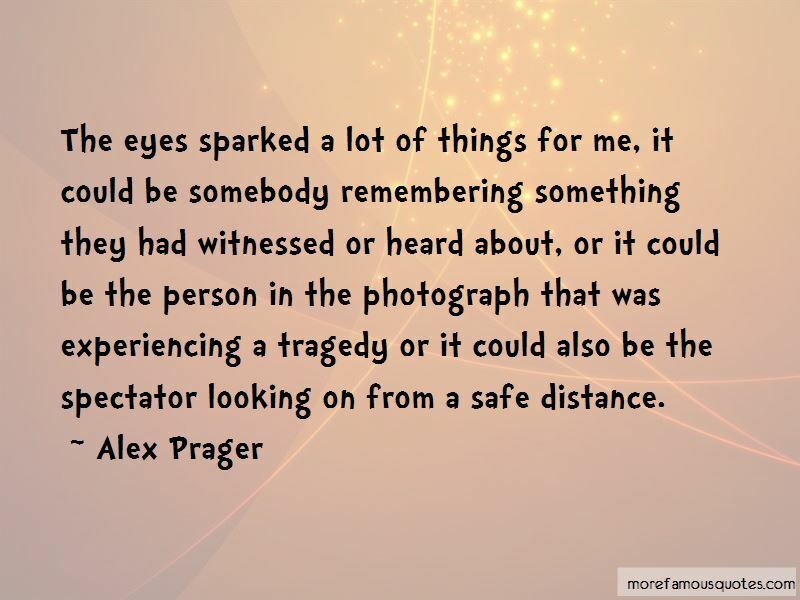 Click on image of Alex Prager quotes to view full size.